A simple institutional site for a research organization. 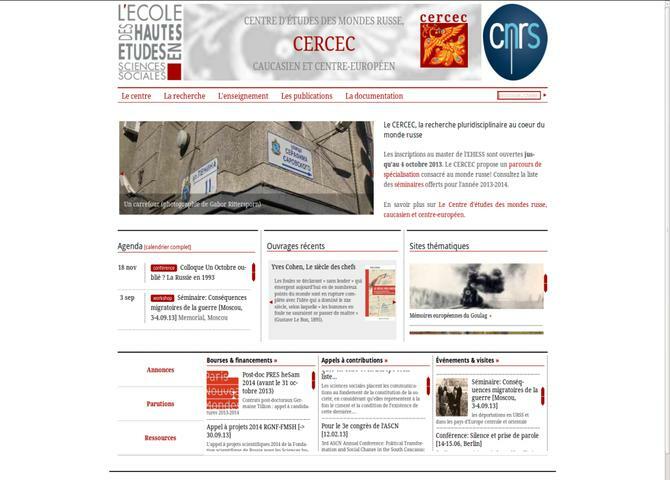 CERCEC is a government-funded institute within the National Center for Scientific Research (France). It specializes in the history of Russia, East-European, Caucasian and Central-Asian countries. Visit Centre d'études des mondes russe, caucasien et centre-européen.